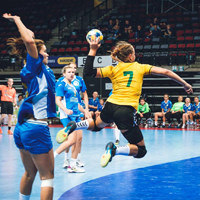 20.08.2017 - FINAL DAY REVIEW: Klaipeda in Lithuania wrapped up its final day of competition in the Women’s 17 EHF Championship, as the hosts suffered defeat against Portugal in the final. Turkey claimed bronze in the 3/4 Placement Match, beating Finland. 20.08.2017 - FINAL DAY REVIEW: Norway defeated 23:18 in final and Hungary win bronze as Slovakia 2017 ends on a high. 19.08.2017 - END-OF-ROUND REVIEW: The Preliminary Round groups have finished and the two top sides now prepare for the final as Turkey and Finland fight it out for bronze.